1. 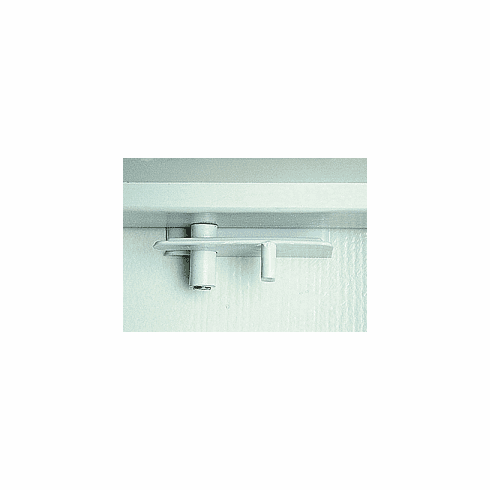 Place the latch on top of door with slot slide approximately 6" from edge. 2. Close door and mark on the door frame the center of the latch slot. If latch hinders the door from closing, place a block of wood against the underside of the door frame and tap upward. 3. Insert the screw into the peg, and mount to the underside of the door frame at the mark. Close door and move latch so the slot portion slides easily onto the peg.